I’m a fan of the UMBC squirrel community, presently 50,000 strong (or so it seems). I even joined their Facebook group. I’ve always thought it was pretty cool how they have no fear of people; they just go about their hyperactive business, ignoring all passersby, often only a few feet away. It’s not unusual to see a number of them working the same small area of grass at the same time, involved in general digging, jumping and scurrying while the academic year passes around them. The rare UMBC chameleon squirrel. 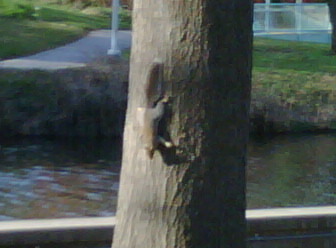 In spite of my esteem, I must admit that the squirrels’ foraging habits are sometimes, well, less than dignified. 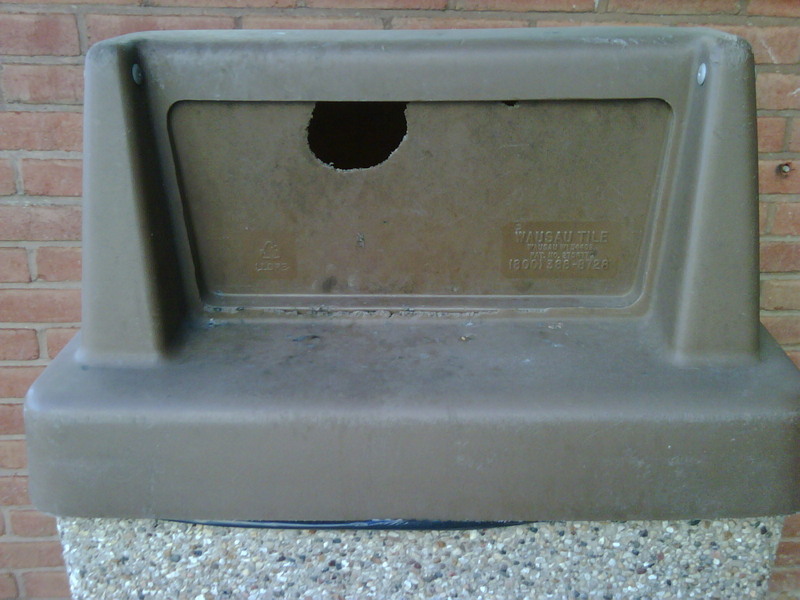 In fact, to make their trash-diving easier, the ingenious squirrels installed “squirrel doors” on many of the older trash cans around campus. Trash can with "squirrel door." Are these supposed to be "squirrel proof?" 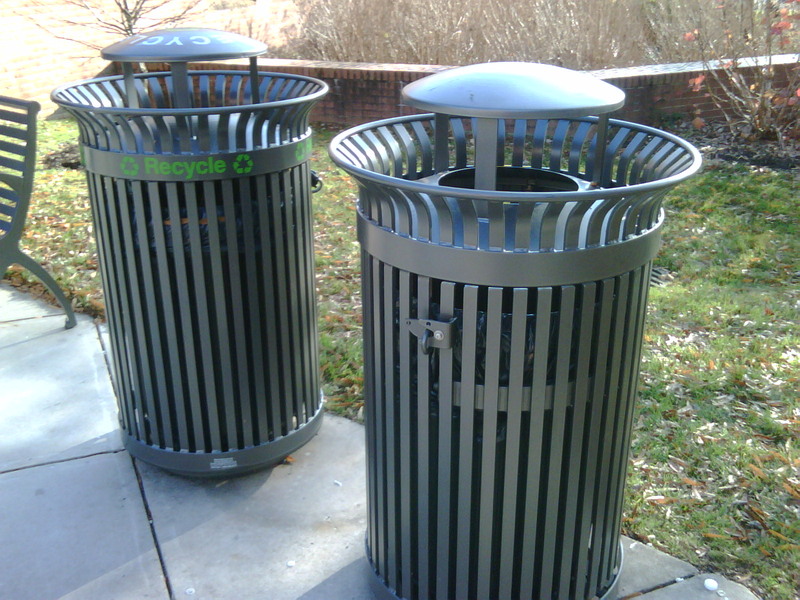 Maybe these have been added for ascetic purposes (they do look much better than the old cans), but if these are an attempt to stop the dumpster-diving of our furred population, I think someone has underestimated their ingenuity. I give the squirrels two months before they’ve figured out the new design. Before I came to UMBC, I actually thought squirrels hibernated inside the trunks of trees (where they store their forage). This is not so. Rather than hibernate, the squirrels are active year-round, and live in what, to the untrained eye, appears to be over sized birds’ nests. 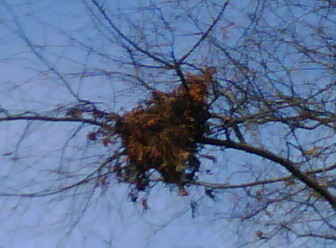 The winter home of Stephen B. Squirrel. Recently, a U.S. flagged cargo ship (that had been the subject of much pirate drama earlier this year), successfully repelled a pirate attack near Somalia. What I don’t understand is why any vessel would operate in those waters without being armed to the teeth. The pirates, from what I’ve seen, are lightly armed, and these ships are huge. Why not mount machine guns, SAMs and grenade launchers on these ships and teach the sailors how to blow these dingys out of the water? 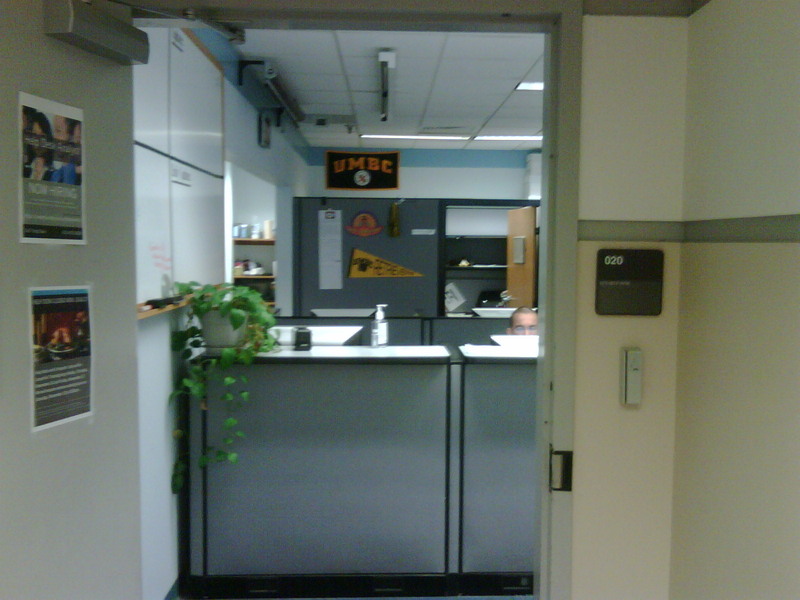 I work in the ECS building, at the Help Desk. This is where I work. That's my office in the background. One of the things I think that we need to be more grateful for are the sleeping stalls that have been conveniently scattered across the campus for student use. Clearly, the administration knows how little sleep most young people get, and in appreciation of that fact, they have distributed throughout the buildings temporary rest stations. I am pleased to report that these sleeping stalls are being put to good use on a daily basis. 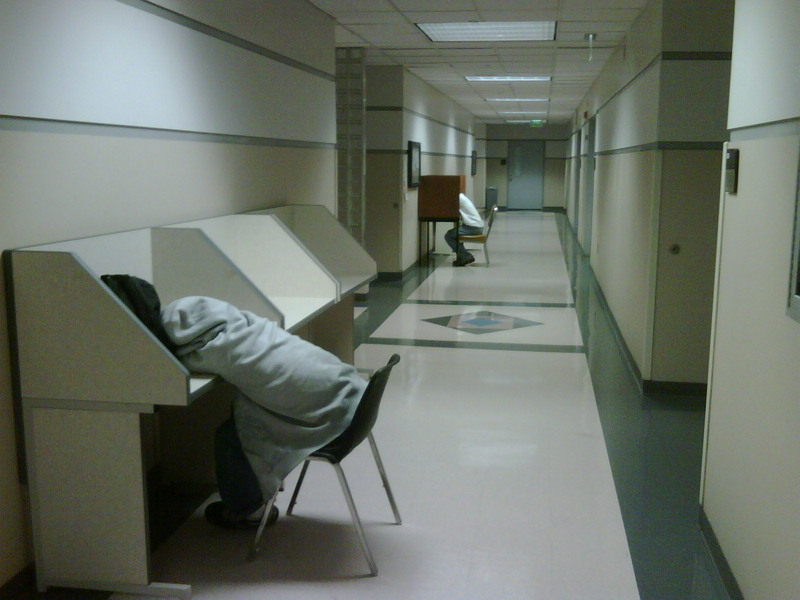 Sleeping stalls at max power in the ECS Building. 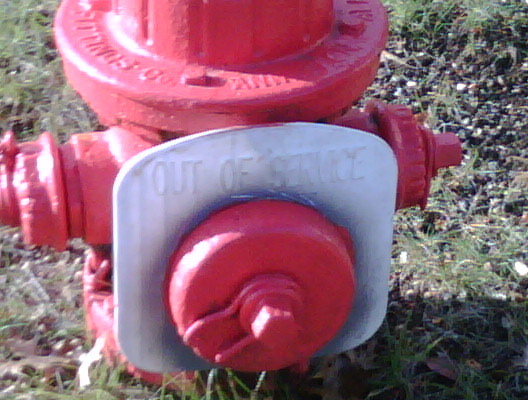 As I walked near the pond next to the AOK library recently, I saw this out-of-order fire hydrant. The "Out Of Service" ring tells us not to bother in the event of a fire. Well, at least this hydrant isn’t near anything really combustible, like thousands of books and irreplaceable documents. Maybe they can just pump the pond water if there’s ever a fire.